The second developer preview beta version of Android L has been released by Google for selected Google Nexus devices, which includes; Asus Google Nexus 7 (2013) Wi-Fi model Tablet and LG Google Nexus 5 Smartphone. The official system factory images file of Android L Developer Preview 2 (Build: LPV81C) Update and Google Fit Developer Preview SDK is now available instantly. Android device users can Download and Install Android L Developer Preview 2 (LPV81C) Update .TGZ File Manually On Nexus 5 and Nexus 7 via Direct Links available below. How to Download and Install Android L DP2 (LPV81C) Update Manually? Currently, the Android L update is only available to LG Nexus 5 Smartphone and Asus Nexus 7 Wi-Fi (version 2, release in 2013) Tablet devices and it won't work on Nexus 7 (2012), nor on newer LTE variants, until Android L publicly available to end users from Fall Late-2014. All Android developers running an old Android L Developer Preview 1 (Build: LPV79) mobile operating system can officially download latest Android L Updates via Android L Developers Portal website. Android L Developer Preview 2 (LPV81C) factory system image with Google Fit Preview client library is a special version of Android L.
All Android non-developers (general public/users) can get the Official Direct Download Links of Android L Developer Preview 2 (LPV81C) Update Installer .TGZ File for Nexus 5 and Nexus 7 devices for Free below. 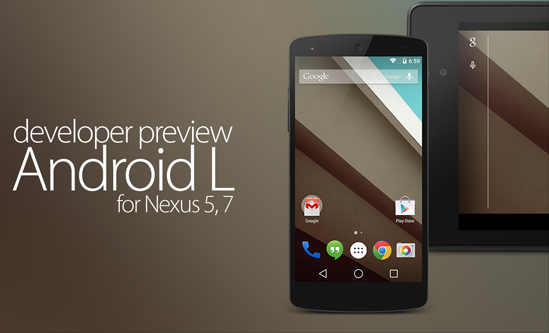 How to Root Android L Developer Preview on Nexus 5 and Nexus 7? How to Download and Install Google Fit Developer Preview Client Library via Installer? Step 1: First, Open your Android SDK Manager and move to bottom of the packages. Step 2: Now, under Extras section, choose Google Play services for Fit Preview Client Library option. Step 3: Under Extras section, also choose Google Repository if an update is available. Step 4: Finally, Click Install packages button. Step 5: Accept the Licensing Agreement and click Install. Congratulations!! You're successfully done.